There were strong rumors in the share market that social media networking site is facing a problem of showing private messages of the individual users to the public. 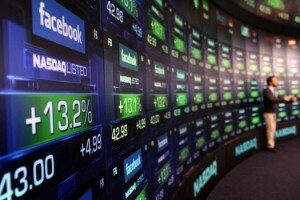 Investors reacted adversely on this news and the prices of the shares of facebook declined sharply. On the other hand, social networking site claims that rumors about showing the private messages as public are completely wrong. The officials of the social media group said that all the rumors about the private messages of the individual users have been made available to public are false. The facebook’s official spokesperson later said that an investigation has been launched in order to recognize the exact problem. This investigation was launched after some users of facebook raised their concerns that their private messages have been appeared on other facebook’s users. The initial investigation report has cleared the fact that the messages were older wall posts that has always been available on the user’s profile page. He further added that we are satisfied with the fact that facebook has not breached any privacy contract. There was some confusion among facebook users in France that their private messages have been made available on other user’s timeline. This created a tension situation among these users and they approached the social media group for correction. The price of shares of facebook fall about 9.1% to $20.79 in stock exchanges and this was the major dip in the price of this stock since 27th July. Since its IPO at $38, so far the prices of this stock has been slipped about 45% and it is still unable to trade above its initial offer price. The spokesperson of facebook further added that if we see from technical perspective then we find that there is no mechanism through which private messages and wall posts show similar trend. He further added that no mechanism has ever been created that would make it possible to show private messages on other users timelines.